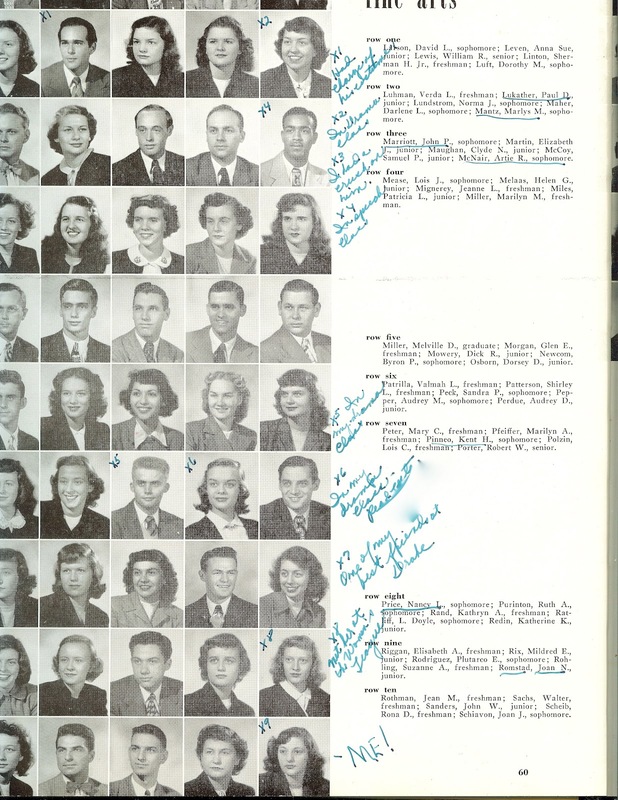 My mother graduated from Aquinas High School in 1946, a year after the Second World War ended. 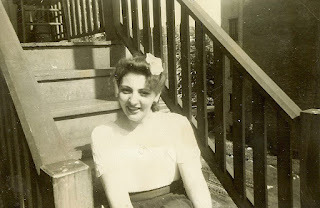 My grandparents decided my mother, Joan Joyce Schiavon, should attend college near their Chicago home, and they sent her to Saint Francis College in Indiana. While there, she met a young exchange student from Hong Kong, Margaret Yu. Margaret had gone to Marquette University, where she majored in Linguistics. She and my mother became close friends, and Margaret spent many a night at the Schiavon household during weekend trips home to Chicago. In her sophomore year, my mother transferred to Drake University in Des Moines, Iowa, as a drama major. I do not recall her reasons for doing this, but she loved it there, in part because it was far enough away from her sheltered life at home to have the freedom she craved. 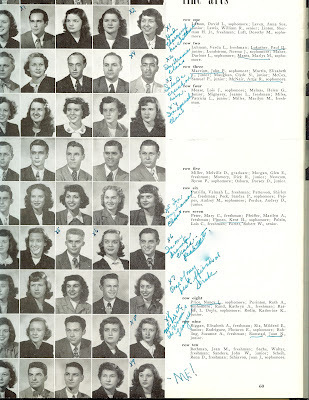 My mother was not exactly the most serious student at the time, but she sure enjoyed campus life. She excelled in her favorite classes – drama and literature – but she also took classes in costume, social science, gym, and badminton. 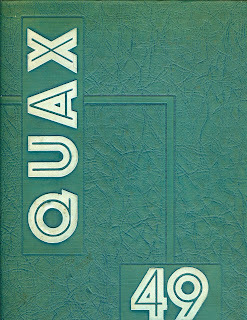 She ate lunch daily with her “chums” at the popular Benson’s Restaurant at 2417 University Avenue in an area of Des Moines called “Dogtown,” and she cheered on the Drake Bulldog college football team along with a number of her many admirers, or “dreamboat escorts,” as she called them, many of whom she met in her drama classes or at the Newman Club. My mother used to tell my sisters and me that she was too young to appreciate a college education at the time. Many women of that era, in fact, went to college to major in “marriage,” hoping to find a husband and settle down and raise a family. Whether her parents wanted this for her or not, they apparently were unimpressed with my mother’s “social” studies and decided that their $400 annual tuition would be better invested in other ways. They called my mother home to Chicago in June 1949. She hated to leave her exciting life and friends at Drake, but she was otherwise glad the experiment was over. My mother stressed to us the value of education and encouraged us to seize every opportunity to make the most of our school years – and to never stop learning. Never was this more evident than in the last years of her life, when she became an assistant teacher for special education students at Modesto High School in Modesto, California. She had a way of inspiring even the toughest students to discover their potential and to excel. Some people learn from books, and some people learn from experience. My precious mother did both, and by following her own advice, she became a wonderful example for us and many others we will never meet. As far as I am concerned, she was one of the smartest people I have ever known. 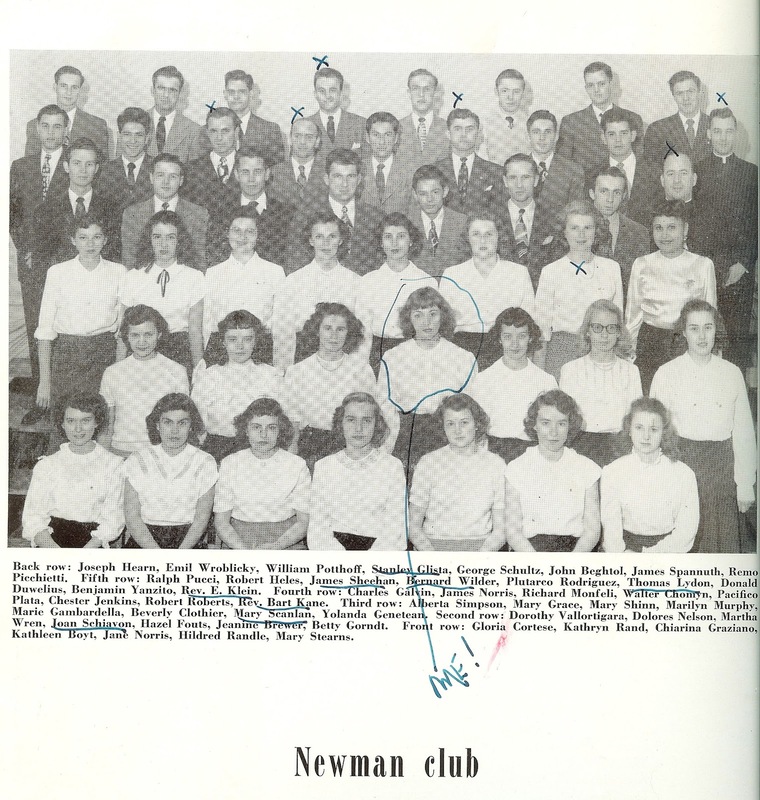 When I went to college, my mother encouraged me to join the Newman Club, a social organization for young Catholic students. She often talked about how much fun the Newman club was, but she does not seem to be too excited about it here. Was she wishing she could be standing in the upper rows among all those young men with an “x” over their heads? It was probably a rare thing for a woman to attend college at all during that time. Though your mother may not have completed her degree, she did accomplish more than many of her peers. I would agree, Jacqi. 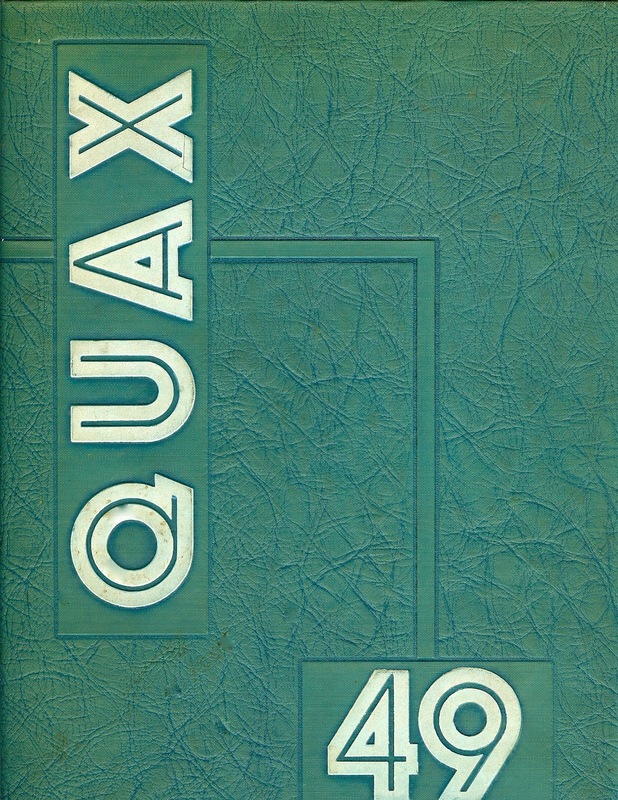 Just looking at the Quax '49 yearbook gives you an idea of the different climate of the time, and it is clear that women were not taken seriously when it came to higher education. There are pictures of student families who lived in barracks housing near the university, accompanied by descriptions of the mothers keeping home and children tidy and quiet so the fathers could study in peace, but there is no mention of the mothers going to class at all! Another spread show three co-eds lounging on the grass, with a essay talking about the study of their "physical fitness" and the benefits of "knee-siology." My, how things have changed!